If effectively managed, social sector organizations are powerful vehicles for meeting human needs and for alleviating human suffering. They could also fulfill the needs of their volunteers for individual achievement and citizenship within a community. Sometimes we forget about the individual needs of the volunteers. This is why it is so important to have a clear mission and vision of the organization. Because these volunteers are desiring to achieve and bring good to the organization it is very important that nonprofits define performance measures congruent with the results and with their mission. 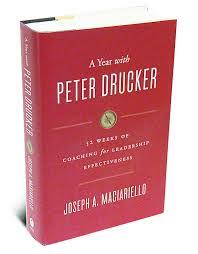 This week’s entry in A Year With Peter Drucker (Maciariello, 2014) deals with the fact that Peter Drucker believed the Salvation Army to be the most effective organization for meeting human needs and for developing its volunteers. The management process for The Salvation Army has strong alignment. The mission is converted to results for each program. Results are in turn supported by appropriate performance measures. Programs are evaluated periodically and resources are allocated to those most deserving, on the basis of performance and need. Programs that no longer serve their original intent are abandoned (Maciariello, 2014). We could all improve the organizations we lead by taking these pages out of the The Salvation Army’s play book. For me the big takeaway was the need to convert my organization’s mission statement and the mission of the stakeholders to a definition of results for our organization and for each programmatic activity we are undertaking. Then develop appropriate performance measures for each of our direct result areas. Then the essential question becomes: How close are these new measures to existing result areas and performance measures? What changes, if any, should be made? 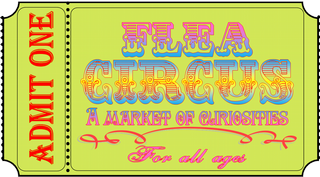 Multidimensional Missions: Don’t Create a Flea Circus! As a school leader, the entry entitled “Accommodating Various Constituencies in a Mission” in A Year With Drucker (Maciariello, 2014) really hit home with me. We know that single-purpose institutions tend to be the most effective. Yet as a school leader, and for the leaders of many organizations, it is necessary to meet the needs of a number of separate groups, and meeting these needs very often requires leaders to make trade-offs. 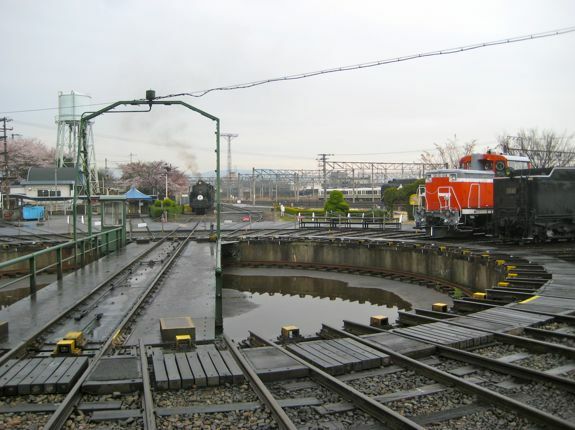 I have always compared it to a train station roundabout where the engine sits on a rotating swivel and there are many tracks leading out. As a school leader I have all of those tracks to serve as stakeholders. Some of those stakeholders include: students, parents, charter authorizer, state, state department of education, education management company, school board, teachers, taxpayers, and the list goes on and on. As a school leader this list of at least nine constituencies sees the school a little differently. Make no mistake, each of these stakeholders is crucial to the success of the school. In my case, it even gets tougher when turning a school around. There are short-term gains that must be met, but sometimes it seems those gains are at the expense of long-term gains. How then can the leader reconcile the demand for short-term performance with the demand to care for tomorrow? First of all, it is important for leaders to consider both the present and the future; both the short run and the long run (Maciariello, 2014). A decision is irresponsible if it risks disaster this year for the sake of a grandiose future. Likewise, if the future is risked for short-term gains; that decision is irresponsible as well. Leaders must meet the critical needs of the future (Maciariello, 2014). Leaders of all organizations must try hard to reconcile the interests of each of their constituents as they manage the short-term and long-term interests of the organization. It is very difficult to reconcile these conflicting interests of constituents around short-term goals, but much easier for leaders to integrate them around the long-term vision of the organization. A clear vision is essential, but when you deal with so many constituencies it is very difficult to stay balanced in the present and future. For success, there must be a unified, clear vision and mission for the organization. In the past this vision and mission were much easier for schools. The mission was to learn to read and do multiplication tables. Now, the vision is much broader and includes such things as development of character, personality, social tasks, citizenship, et cetera (Maciariello, 2014). Nothing wrong with any of these things, but it has sparked the argument of what learning means. Our unifying focal point has been lost (Maciariello, 2014). With so many goals to accomplish, it is hard for the organization to function according to a unified mission. “List the constituents whose needs you must satisfy in your position and in your organization. How are you meeting the needs of each constituent person or group? Which demands of these various groups conflict in the short term? Can these demands be reconciled in the longer-term goals of your organization? List the constituents again. Try to reconcile the interests of each one in your long-term goals. Which, if any, cannot be reconciled with these goals? Can you release yourself and the organization from the responsibility of meeting the irreconcilable interests of these constituents? 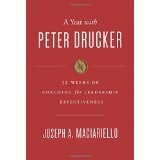 I am a little behind in entering my weekly posts on the weekly lessons in A Year With Peter Drucker: 52 Weeks of Coaching for Leadership Effectiveness (Maciariello, 2014). This week’s entry was about developing mission statements for organizations. A good mission statement is short and focuses the attention of each member of the organization on how his or her activities fit into the overall mission of the organization. The statement tells each member what the organization is about and what it intends to do. This supports the very important concept of strategic planning as well, that every member of the organization must know his or her role in carrying out the action plan of the organization. I would offer up the mission statement of our recently formed Focused Leader Academy. I blogged about this in Building the Bench! Our mission for this program is: Leadership needs to appear anywhere and anytime it is needed. That is about as action oriented as you can get. Additionally, if adhered to, having empowered teacher leaders will help us to fulfill our school’s overall mission. 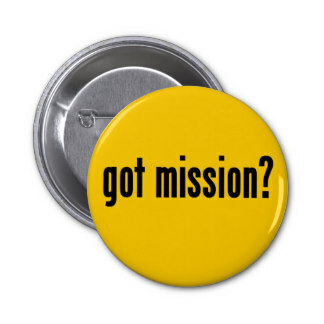 The key is to have a mission that is widely accepted and is operational. The lesson in A Year With Peter Drucker (Maciariello, 2014) on planning succession in organizations really struck home with me. 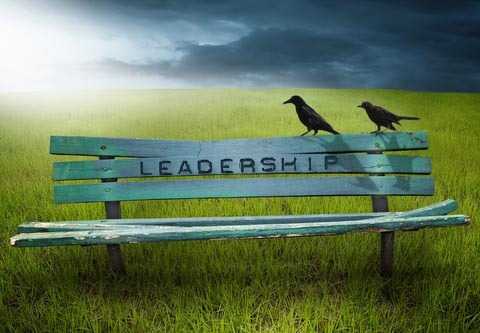 In my own situation of leading a school in turnaround mode, it was obvious early that we did not have the bench strength for succession planning in most of our roles and responsibilities. Ideally, having the ability to test a number of people in highly responsible positions before making a decision is one of the safest approaches to succession. Amazingly, we just rolled out a program called “Focused Leader Academy” to do just that. I believe we should continually be mentoring the next generation, which is what we are doing with our Focused Leader Academy. I need to spend a percentage of my time mentoring the next generation. An organization that is not capable of perpetuating itself has failed. An organization therefore has to provide today the men and women who run it tomorrow (Maciariello, 2014). We must renew our human capital. We must also steadily upgrade our human resources. Really, the essential question when considering building the bench is: “What problems and opportunities are we likely to face as we expand globally?” For our Focused Leader Academy we started with the theory of action: IF we empower our teachers through leadership skill development… Then we will have teacher leaders ready to contribute to the success of Hoosier Academies and be an important part of our talent pipeline. This is an employee development and engagement program. The idea is that great minds and great motives still matter. Teachers with school and educational leadership aspirations will have the opportunity to become part of a cohort, which will take part in monthly training and be part of supervised Focused Leadership Projects for the schools. The vision for this program is that leadership is born out of those who are affected by it. Our mission is that leadership needs to appear anywhere and anytime it is needed. By institutionalizing this program we are giving our emerging teacher leaders a legitimate place in the organization. I believe for high staff engagement we must be enabling our teachers to become leaders in the organization. I also believe in a strong employee leadership development program, such as our Focused Leader Academy, supported by an effective human resources organization. So, in closing I would ask: What is your bench strength? Last week I had the annual pleasure of being at the county fair showing dairy cows with my son. The other great part of the week is being able to visit with friends and former students. One visit I look forward to every year is from former student, Andy Clark and his family. I had him in Fundamentals of Agriculture Science and Business and Welding Technology the first year I was at Lebanon starting the Agriculture Science program. Andy is a 2005 graduate of Lebanon High School. I love catching up with him each year and hearing about all of his successes, family, and latest learning. I have to give a little background on Andy for context. He is, and was as a student, extremely intelligent. The challenge for Andy was that he did not find most of school relevant. He grew up on a farm and is now a partner in that family farm. Andy is one of the reasons I have done so much research on teaching science in the relevant context of agriculture. Andy’s mother and I had many a conversation about her concern for Andy graduating. That concern had nothing to do with ability, and all to with him not finding relevancy in school. He did not want to be there! He wanted to be home getting on with his life as an agribusinessman. In contrast, Andy excelled in the classes I had him for. In fact, on a final presentation about welding, Andy said he and his partner could go into such detail he could take the whole 90 minute block class to do the demonstration. I told him if he could, and the content was great, I would give him an automatic “A.” Well, you guessed it, he got the “A!” He and his partner even bought Reese Cups to give out to classmates for correctly answered questions – now that’s student engagement. Interestingly, teachers would ask how I could get him involved and so engaged in class. It really didn’t have much to do with me, but more to do with the fact that school work in my classes matched real work in Andy’s world – Agriculture. Again, as I said earlier, Andy just wanted school to be over so he could get on with his life of farming. Andy was not alone. Most students need the relevant connection of their real world, their school world, and their virtual world. Education exists in the larger context of society. When society changes – so too must education, if it is to remain viable. The latest movement to college and career readiness attempts to do just this. Although the phrase “college and career readiness” has become increasingly popular among federal, state, and local education agencies as well as a number of foundations and professional organizations, it can be challenging to define precisely. In today’s economy, a “career” is not just a job. A career provides a family sustaining wage and pathways to advancement and requires postsecondary training or education. A job may be obtained with only a high school diploma but offers no guarantee of advancement or mobility. Being ready for a career means that a high school graduate has the English and mathematics knowledge and skills needed to qualify for and succeed in the postsecondary job training and/or education necessary for their chosen career (i.e., technical/vocational program, community college, apprenticeship, or significant on-the-job training). The point of this post is that Andy has gone on to become a successful businessman. Of course, readiness for college and careers depends on more than English and mathematics knowledge; to be successful after high school, all graduates must possess the knowledge, habits, and skills that can only come from a rigorous, rich, and well-rounded high school curriculum. I would also add work ethic and a commitment to lifelong learning to the list. I know that Andy works very hard every day. I also know Andy is committed to learning and professional growth. I was so proud last week to hear him say, “Knowledge is power.” Andy went on to say he was shocked at how much time he spent studying on his smartphone. He said, “I’ll sit down at night and start reading about something I want to study and the next thing I know it is 4:00 in the morning.” I just wish we would have done a better job tapping that learning behavior while Andy was in school. Once again proof that we must continue to connect school work to real work for optimal student engagement and career readiness. I was just blown away by the detail of our conversation about Andy’s latest venture in the alfalfa hay business. Growing alfalfa is intense. 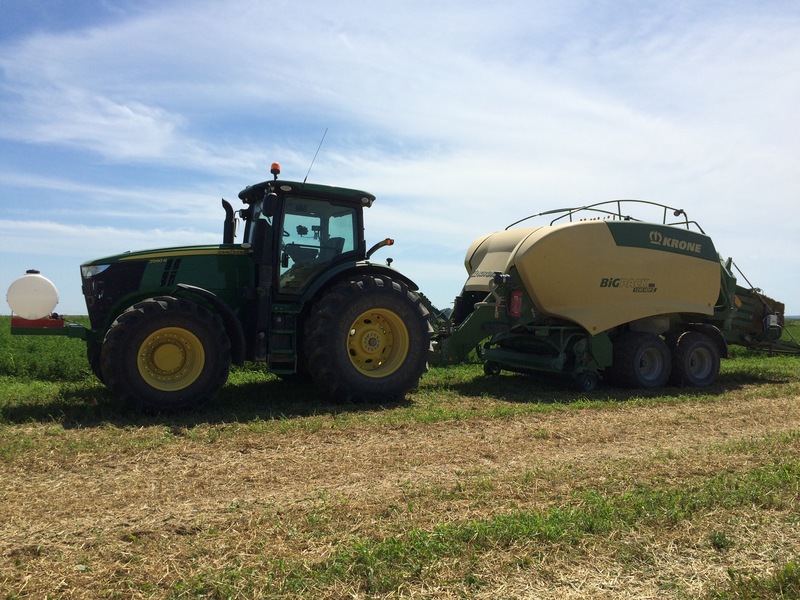 For maximum returns, alfalfa producers must strive to: 1) establish good stands, 2) maintain high yields, 3) maintain quality forage, 4) determine optimal stand life, and 5) use efficient marketing practices. Recognizing these goals is one thing, but making it all happen on the farm is not for the faint of heart. We talked in detail about each of the five areas and the conferences, workshops, consultants, and smartphone learning that Andy was taking part in to become the top of his craft. I’ve got to tell you; I am so proud of this young man! He is an exemplar of student success. Really, I wish we would just talk “student success” as opposed to just college and career readiness or any other terms that people want to add. Student success is a better way to look at it because the ultimate goal is to have our students learning to learn. We must recognize that youth will choose their own paths in life, with some young people charging forward on a traditional four- year college pathway and others moving equally quickly to pathways that are more technically or occupationally oriented. For a student to be successful, they must be able to learn, apply, and adapt in all subject areas. In order to engage the Andy Clark’s of our classrooms we must integrate higher-order thinking skills and real world problem solving into core subjects making learning more rigorous, relevant, and engaging. Both core subject knowledge and skills are necessary for readiness in college, work, and life. Preparing all students with content knowledge and essential skills will empower them to meet new global demands. Thus, setting our students up for SUCCESS. Look For Strengths, Not The Abscence of Weaknesses! 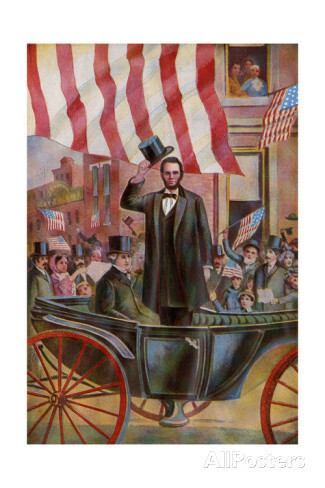 Abraham Lincoln modeled this for us as well in choosing Ulysses S. Grant as his commander in chief. Grant had many flaws, but was just the right person to carry out Lincoln’s plan for winning the Civil War. Grant did carry out the plan and the war was ended. As the example of Ulysses S. Grant illustrates, individuals with weaknesses often have extraordinary strengths on which distinguished careers can be built. We need to strive to be more like Lincoln and ponder the challenges facing our organizations and then look for the right individuals with the strengths to meet the demands.